SERVICE LOANERS | Manchester, MO Service Loaners have low mileage, are current or previous model year vehicles, carry the balance of the warranty, are eligible for all new car rates and special discounts, and are eligible for lease. Service Loaners are hand picked BMW’s from our new car inventory for our clients to enjoy driving while their BMW is visiting our Service Department. Pampered by our clients, and meticulously cared for by our select service team, these cars are gently driven for a short period of time and are then made available for sale. 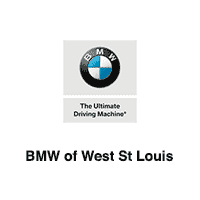 Our Service Loaners offer an excellent opportunity for our clients to drive a new BMW at a significantly reduced price and still receive new car rates and special discounts. Priced below KBB Fair Purchase Price! This was a new car that was enrolled in our Service Loaner Fleet!, This car qualifies for all new car rebates and incentives!, TIBBFX, Original MSRP $43,805.00, Comfort Access Keyless Entry, Convenience Package, Exterior Parking Camera Rear, Heated Steering Wheel, Moonroof, Storage Package. Jet Black 2018 BMW 3 Series 320i xDrive AWD 8-Speed Automatic 2.0L 4-Cylinder DOHC 16V TwinPower Turbo Odometer is 1787 miles below market average! 23/34 City/Highway MPG Whether you are interested in learning more about our team or are ready to begin shopping with us, we invite you to visit our showroom today. Conveniently located on Manchester Road just west of Hwy 141 in Manchester, MO, our team looks forward to helping you experience new levels of affordable luxury. *See dealer for details. **Note: All sale prices and discounts listed above, include all available factory incentives, discounts and rebates. Special rates must finance through BMW Financial. These are subject to change at any time. Priced below KBB Fair Purchase Price! This was a new car that was enrolled in our Service Loaner Fleet!, This car qualifies for all new car rebates and incentives!, TIBBFX, Original MSRP $44,510.00, Exterior Parking Camera Rear, Hands-Free Bluetooth & USB Audio Connection, Heated door mirrors. Alpine White 2018 BMW 3 Series 320i xDrive AWD 8-Speed Automatic 2.0L 4-Cylinder DOHC 16V TwinPower Turbo Odometer is 1958 miles below market average! 23/34 City/Highway MPG Whether you are interested in learning more about our team or are ready to begin shopping with us, we invite you to visit our showroom today. Conveniently located on Manchester Road just west of Hwy 141 in Manchester, MO, our team looks forward to helping you experience new levels of affordable luxury. *See dealer for details. **Note: All sale prices and discounts listed above, include all available factory incentives, discounts and rebates. Special rates must finance through BMW Financial. These are subject to change at any time. Priced below KBB Fair Purchase Price! This was a new car that was enrolled in our Service Loaner Fleet!, This car qualifies for all new car rebates and incentives!, TIBBFX, Original MSRP $43,385.00, Brake assist, Heated door mirrors. Jet Black 2018 BMW 3 Series 320i xDrive AWD 8-Speed Automatic 2.0L 4-Cylinder DOHC 16V TwinPower Turbo Odometer is 2738 miles below market average! 23/34 City/Highway MPG Whether you are interested in learning more about our team or are ready to begin shopping with us, we invite you to visit our showroom today. Conveniently located on Manchester Road just west of Hwy 141 in Manchester, MO, our team looks forward to helping you experience new levels of affordable luxury. *See dealer for details. **Note: All sale prices and discounts listed above, include all available factory incentives, discounts and rebates. Special rates must finance through BMW Financial. These are subject to change at any time. Priced below KBB Fair Purchase Price! ACTIVE SERVICE LOANER, PLEASE CALL FOR APPOINTMENT, This was a new car that was enrolled in our Service Loaner Fleet!, This car qualifies for all new car rebates and incentives!, TIBBFX, Original MSRP $44,905.00, Exterior Parking Camera Rear, Remote keyless entry. Blue Metallic 2018 BMW 3 Series 320i xDrive AWD 8-Speed Automatic 2.0L 4-Cylinder DOHC 16V TwinPower Turbo Odometer is 1550 miles below market average! 23/34 City/Highway MPG Whether you are interested in learning more about our team or are ready to begin shopping with us, we invite you to visit our showroom today. Conveniently located on Manchester Road just west of Hwy 141 in Manchester, MO, our team looks forward to helping you experience new levels of affordable luxury. *See dealer for details. **Note: All sale prices and discounts listed above, include all available factory incentives, discounts and rebates. Special rates must finance through BMW Financial. These are subject to change at any time. This was a new car that was enrolled in our Service Loaner Fleet!, This car qualifies for all new car rebates and incentives!, TIBBFX, Original MSRP $45,485.00, Auto-Dimming Interior & Driver Exterior Mirrors, Auto-Dimming Rear-View Mirror, Convenience Package, Moonroof, Power Front Seats, Storage Package, Universal Garage-Door Opener. Melbourne Red Metallic 2018 BMW 3 Series 320i xDrive AWD 8-Speed Automatic 2.0L 4-Cylinder DOHC 16V TwinPower Turbo Odometer is 4464 miles below market average! 23/34 City/Highway MPG Whether you are interested in learning more about our team or are ready to begin shopping with us, we invite you to visit our showroom today. Conveniently located on Manchester Road just west of Hwy 141 in Manchester, MO, our team looks forward to helping you experience new levels of affordable luxury. *See dealer for details. **Note: All sale prices and discounts listed above, include all available factory incentives, discounts and rebates. Special rates must finance through BMW Financial. These are subject to change at any time. ACTIVE SERVICE LOANER, PLEASE CALL FOR APPOINTMENT, This was a new car that was enrolled in our Service Loaner Fleet!, This car qualifies for all new car rebates and incentives!, Original MSRP $42,045.00, Brake assist, Comfort Access Keyless Entry, Convenience Package, Exterior Parking Camera Rear, Navigation System, Panoramic Moonroof. Glacier Silver Metallic 2019 BMW X1 xDrive28i AWD 8-Speed Automatic 2.0L 4-Cylinder DOHC 16V TwinPower Turbo Odometer is 1533 miles below market average! 22/31 City/Highway MPG Whether you are interested in learning more about our team or are ready to begin shopping with us, we invite you to visit our showroom today. Conveniently located on Manchester Road just west of Hwy 141 in Manchester, MO, our team looks forward to helping you experience new levels of affordable luxury. *See dealer for details. **Note: All sale prices and discounts listed above, include all available factory incentives, discounts and rebates. Special rates must finance through BMW Financial. These are subject to change at any time. ACTIVE SERVICE LOANER, PLEASE CALL FOR APPOINTMENT, This was a new car that was enrolled in our Service Loaner Fleet!, This car qualifies for all new car rebates and incentives!, Original MSRP $41,945.00, Brake assist, Comfort Access Keyless Entry, Convenience Package, Exterior Parking Camera Rear, Navigation System, Panoramic Moonroof. Blue Metallic 2019 BMW X1 xDrive28i AWD 8-Speed Automatic 2.0L 4-Cylinder DOHC 16V TwinPower Turbo Odometer is 1318 miles below market average! 22/31 City/Highway MPG Whether you are interested in learning more about our team or are ready to begin shopping with us, we invite you to visit our showroom today. Conveniently located on Manchester Road just west of Hwy 141 in Manchester, MO, our team looks forward to helping you experience new levels of affordable luxury. *See dealer for details. **Note: All sale prices and discounts listed above, include all available factory incentives, discounts and rebates. Special rates must finance through BMW Financial. These are subject to change at any time. ACTIVE SERVICE LOANER, PLEASE CALL FOR APPOINTMENT, This was a new car that was enrolled in our Service Loaner Fleet!, This car qualifies for all new car rebates and incentives!, Original MSRP $43,055.00, Comfort Access Keyless Entry, Convenience Package, Exterior Parking Camera Rear, Moonroof. Glacier Silver Metallic 2019 BMW 2 Series 230i xDrive AWD 8-Speed Automatic Sport 2.0L I4 16V TwinPower Turbo 24/33 City/Highway MPG Whether you are interested in learning more about our team or are ready to begin shopping with us, we invite you to visit our showroom today. Conveniently located on Manchester Road just west of Hwy 141 in Manchester, MO, our team looks forward to helping you experience new levels of affordable luxury. *See dealer for details. **Note: All sale prices and discounts listed above, include all available factory incentives, discounts and rebates. Special rates must finance through BMW Financial. These are subject to change at any time. ACTIVE SERVICE LOANER, PLEASE CALL FOR APPOINTMENT, This was a new car that was enrolled in our Service Loaner Fleet!, This car qualifies for all new car rebates and incentives!, Original MSRP $43,380.00, Comfort Access Keyless Entry, Convenience Package, Moonroof. Jet Black 2019 BMW 2 Series 230i xDrive AWD 8-Speed Automatic Sport 2.0L I4 16V TwinPower Turbo 24/33 City/Highway MPG Whether you are interested in learning more about our team or are ready to begin shopping with us, we invite you to visit our showroom today. Conveniently located on Manchester Road just west of Hwy 141 in Manchester, MO, our team looks forward to helping you experience new levels of affordable luxury. *See dealer for details. **Note: All sale prices and discounts listed above, include all available factory incentives, discounts and rebates. Special rates must finance through BMW Financial. These are subject to change at any time. Original MSRP $42,045.00, Brake assist, Comfort Access Keyless Entry, Convenience Package, Exterior Parking Camera Rear, Navigation System, Panoramic Moonroof, SiriusXM Satellite Radio. Mineral Grey Metallic 2019 BMW X1 xDrive28i AWD 8-Speed Automatic 2.0L 4-Cylinder DOHC 16V TwinPower Turbo Odometer is 1510 miles below market average! 22/31 City/Highway MPG Whether you are interested in learning more about our team or are ready to begin shopping with us, we invite you to visit our showroom today. Conveniently located on Manchester Road just west of Hwy 141 in Manchester, MO, our team looks forward to helping you experience new levels of affordable luxury. *See dealer for details. **Note: All sale prices and discounts listed above, include all available factory incentives, discounts and rebates. Special rates must finance through BMW Financial. These are subject to change at any time. This was a new car that was enrolled in our Service Loaner Fleet!, This car qualifies for all new car rebates and incentives!, Original MSRP $43,930.00, Brake assist, Exterior Parking Camera Rear. Melbourne Red Metallic 2019 BMW 2 Series 230i xDrive AWD 8-Speed Automatic Sport 2.0L I4 16V TwinPower Turbo 24/33 City/Highway MPG Whether you are interested in learning more about our team or are ready to begin shopping with us, we invite you to visit our showroom today. Conveniently located on Manchester Road just west of Hwy 141 in Manchester, MO, our team looks forward to helping you experience new levels of affordable luxury. *See dealer for details. **Note: All sale prices and discounts listed above, include all available factory incentives, discounts and rebates. Special rates must finance through BMW Financial. These are subject to change at any time. ACTIVE SERVICE LOANER, PLEASE CALL FOR APPOINTMENT, This was a new car that was enrolled in our Service Loaner Fleet!, This car qualifies for all new car rebates and incentives!, Original MSRP $44,070.00, Brake assist, Comfort Access Keyless Entry, Convenience Package, Exterior Parking Camera Rear, Moonroof. Blue Metallic 2019 BMW 2 Series 230i xDrive AWD 8-Speed Automatic Sport 2.0L I4 16V TwinPower Turbo Odometer is 1480 miles below market average! 24/33 City/Highway MPG Whether you are interested in learning more about our team or are ready to begin shopping with us, we invite you to visit our showroom today. Conveniently located on Manchester Road just west of Hwy 141 in Manchester, MO, our team looks forward to helping you experience new levels of affordable luxury. *See dealer for details. **Note: All sale prices and discounts listed above, include all available factory incentives, discounts and rebates. Special rates must finance through BMW Financial. These are subject to change at any time. Priced below KBB Fair Purchase Price! ACTIVE SERVICE LOANER, PLEASE CALL FOR APPOINTMENT, This was a new car that was enrolled in our Service Loaner Fleet!, This car qualifies for all new car rebates and incentives!, Original MSRP $47,085.00, Active Blind Spot Detection, Active Driving Assistant, Driving Assistance Package. Glacier Silver Metallic 2019 BMW X3 xDrive30i AWD 8-Speed Automatic 2.0L I4 TwinPower Turbo Odometer is 2782 miles below market average! 22/29 City/Highway MPG Whether you are interested in learning more about our team or are ready to begin shopping with us, we invite you to visit our showroom today. Conveniently located on Manchester Road just west of Hwy 141 in Manchester, MO, our team looks forward to helping you experience new levels of affordable luxury. *See dealer for details. **Note: All sale prices and discounts listed above, include all available factory incentives, discounts and rebates. Special rates must finance through BMW Financial. These are subject to change at any time. Priced below KBB Fair Purchase Price! ACTIVE SERVICE LOANER, PLEASE CALL FOR APPOINTMENT, This was a new car that was enrolled in our Service Loaner Fleet!, This car qualifies for all new car rebates and incentives!, Original MSRP $46,635.00. Jet Black 2019 BMW X3 xDrive30i AWD 8-Speed Automatic 2.0L I4 TwinPower Turbo Odometer is 2416 miles below market average! 22/29 City/Highway MPG Whether you are interested in learning more about our team or are ready to begin shopping with us, we invite you to visit our showroom today. Conveniently located on Manchester Road just west of Hwy 141 in Manchester, MO, our team looks forward to helping you experience new levels of affordable luxury. *See dealer for details. **Note: All sale prices and discounts listed above, include all available factory incentives, discounts and rebates. Special rates must finance through BMW Financial. These are subject to change at any time. Priced below KBB Fair Purchase Price! This was a new car that was enrolled in our Service Loaner Fleet!, This car qualifies for all new car rebates and incentives!, Original MSRP $46,635.00. Alpine White 2019 BMW X3 xDrive30i AWD 8-Speed Automatic 2.0L I4 TwinPower Turbo Odometer is 900 miles below market average! 22/29 City/Highway MPG Whether you are interested in learning more about our team or are ready to begin shopping with us, we invite you to visit our showroom today. Conveniently located on Manchester Road just west of Hwy 141 in Manchester, MO, our team looks forward to helping you experience new levels of affordable luxury. *See dealer for details. **Note: All sale prices and discounts listed above, include all available factory incentives, discounts and rebates. Special rates must finance through BMW Financial. These are subject to change at any time. ACTIVE SERVICE LOANER, PLEASE CALL FOR APPOINTMENT, This was a new car that was enrolled in our Service Loaner Fleet!, This car qualifies for all new car rebates and incentives!, Original MSRP $46,770.00, Brake assist, Comfort Access Keyless Entry, Convenience Package, Dakota Leather Upholstery, Exterior Parking Camera Rear, Fine-Wood Oak Grain Trim w/Pearl Chrome Accent, Luxury Package, Navigation System, Panoramic Moonroof, Power Liftgate, Premium Package. Mineral Grey Metallic 2019 BMW X1 xDrive28i AWD 8-Speed Automatic 2.0L 4-Cylinder DOHC 16V TwinPower Turbo Odometer is 1298 miles below market average! 22/31 City/Highway MPG Whether you are interested in learning more about our team or are ready to begin shopping with us, we invite you to visit our showroom today. Conveniently located on Manchester Road just west of Hwy 141 in Manchester, MO, our team looks forward to helping you experience new levels of affordable luxury. *See dealer for details. **Note: All sale prices and discounts listed above, include all available factory incentives, discounts and rebates. Special rates must finance through BMW Financial. These are subject to change at any time. Priced below KBB Fair Purchase Price! ACTIVE SERVICE LOANER, PLEASE CALL FOR APPOINTMENT, Heated Seats, Original MSRP $47,685.00, Active Blind Spot Detection, Active Driving Assistant, Driving Assistance Package, Exterior Parking Camera Rear. Glacier Silver Metallic 2019 BMW X3 xDrive30i AWD 8-Speed Automatic 2.0L I4 TwinPower Turbo Odometer is 3575 miles below market average! 22/29 City/Highway MPG Whether you are interested in learning more about our team or are ready to begin shopping with us, we invite you to visit our showroom today. Conveniently located on Manchester Road just west of Hwy 141 in Manchester, MO, our team looks forward to helping you experience new levels of affordable luxury. *See dealer for details. **Note: All sale prices and discounts listed above, include all available factory incentives, discounts and rebates. Special rates must finance through BMW Financial. These are subject to change at any time. Priced below KBB Fair Purchase Price! ACTIVE SERVICE LOANER, PLEASE CALL FOR APPOINTMENT, This was a new car that was enrolled in our Service Loaner Fleet!, This car qualifies for all new car rebates and incentives!, Original MSRP $47,685.00, Active Blind Spot Detection, Active Driving Assistant, Driving Assistance Package, Exterior Parking Camera Rear. Dark Graphite 2019 BMW X3 xDrive30i AWD 8-Speed Automatic 2.0L I4 TwinPower Turbo Odometer is 3467 miles below market average! 22/29 City/Highway MPG Whether you are interested in learning more about our team or are ready to begin shopping with us, we invite you to visit our showroom today. Conveniently located on Manchester Road just west of Hwy 141 in Manchester, MO, our team looks forward to helping you experience new levels of affordable luxury. *See dealer for details. **Note: All sale prices and discounts listed above, include all available factory incentives, discounts and rebates. Special rates must finance through BMW Financial. These are subject to change at any time. Original MSRP $48,185.00, Active Blind Spot Detection, Comfort Access Keyless Entry, Convenience Package, Navigation System, Power moonroof, SiriusXM Satellite Radio. Jet Black 2019 BMW 3 Series 330i xDrive AWD 8-Speed Automatic 2.0L 4-Cylinder DOHC 16V Turbocharged Odometer is 897 miles below market average! 25/34 City/Highway MPG Whether you are interested in learning more about our team or are ready to begin shopping with us, we invite you to visit our showroom today. Conveniently located on Manchester Road just west of Hwy 141 in Manchester, MO, our team looks forward to helping you experience new levels of affordable luxury. *See dealer for details. **Note: All sale prices and discounts listed above, include all available factory incentives, discounts and rebates. Special rates must finance through BMW Financial. These are subject to change at any time.